Timothy Treadwell was a man with a complicated past and an obsession with bears. Treadwell devoted his life to educating people about bears, and he spent 13 summers living in Alaska. For the last few summers he filmed his experiences. Many people warned him that his actions were foolish, that he was taking too many risks and getting to involved with the bears, that he was becoming blind to his own situation. 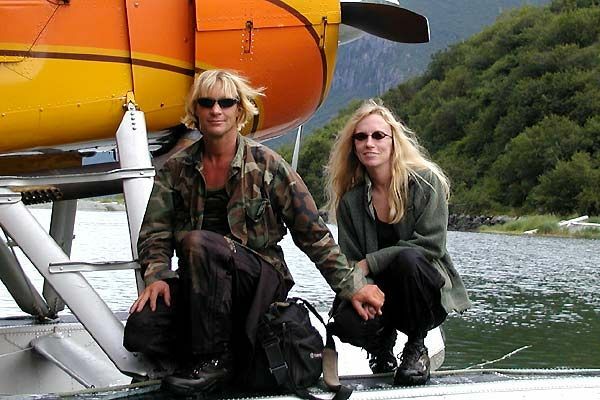 Treadwell and his girlfriend Amy, in Alaska. In the end she met the same fate as her boyfriend. 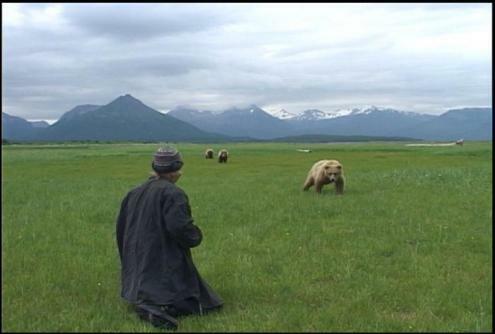 Grizzly Man is a documentary by German director Werner Herzog. He is also the narrator (the thick accent guy). He tells the story of Treadwell, his fascination (bordering on obsessive love) with bears, and his ultimate failure to understand the power of the world around him. Three topics to take notes on as you watch. They all tie into the idea of Treadwell as a doomed person with tragic tendencies. Timothy Treadwell becomes so engrossed in his existence with the bears that he fails to acknowledge the true danger he faces.